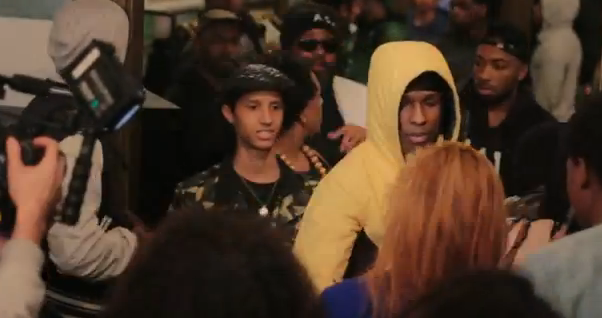 Last week, The Fresh Heir brought you the first set of exclusive footage from the A$AP Rocky in-store event at Kyoto Jungle in Boston, courtesy of Decriminals. Here’s part two, shot and edited by Decriminals member Goodwin. This video features scenes from inside Kyoto Jungle as well as outside the shop, but most importantly, a rare shot of Michael Christmas bobbing his head emphatically at the 0:37 mark. Check out part one if you didn’t catch it the first time around, and stay tuned for much more from The Fresh Heir and Decriminals. Tags: A$AP Rocky, A$AP Rocky in-store footage, Annie Mulz, Boston, Decriminals, Green Street Vault, Kyoto Jungle, the fresh heir. Bookmark the permalink.